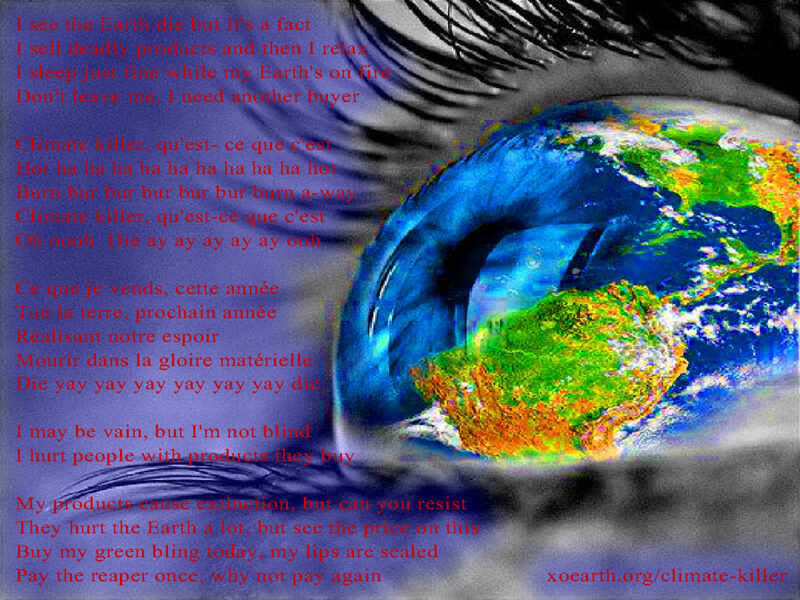 *Climate Killer* by XOEarth Stele is a parody of *Psycho Killer* by Talking Heads, David Byrne, Chris Frantz and Tina Weymouth. Our ailing planet could suffer a deadly ecological system[s] failure within three years - say some climate scientists. Help our planet stay healthy so we can keep having fun. Work ecologically. Travel ecologically. Eat ecologically. Donate ecologically. Play ecologically.